» Bill Plympton, Up Close and Personal! 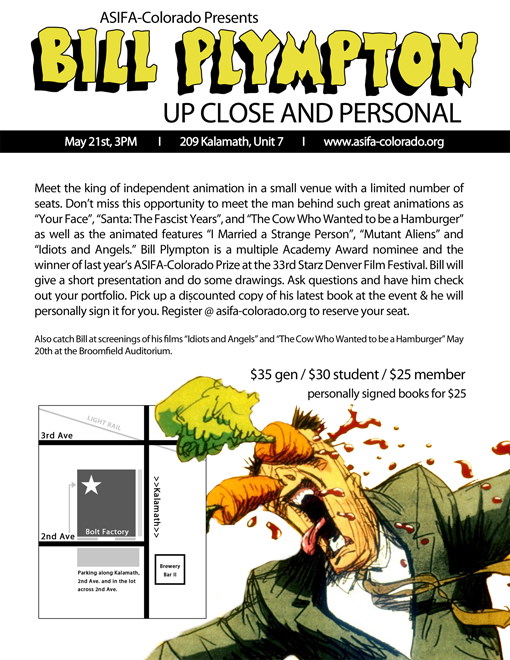 ASIFA-CO will be hosting Bill Plympton on the afternoon of Saturday May 21st in Denver! Meet the king of independent animation. Check out the Events page for all the details!